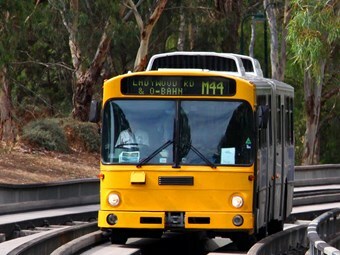 The South Australia Government has released revised plans for the O-Bahn City Access Project, after taking into account feedback from the extensive consultation with the community and stakeholders. Transport and Infrastructure Minister Stephen Mullighan says the consultation has shown people understand the need to address the primary objectives of the project. These objectives include reducing delays and improve reliability for O-Bahn passengers, reducing congestion for vehicles on the City Ring Route, and improving travel times for more than 30,000 O-Bahn passengers. However the state government has revised some aspects of the project to change the impact on the parklands and provide better car parking for the East End. Changes to the plan include retaining the existing alignment of Rundle Road, extending the tunnel portal 140 metres west and creating an extra 50 car parks on East Terrace and Rundle Road. "The government has always said it would listen to the community throughout the life of this project and that is exactly what we have done," says Mullighan. "We have worked hard to address all of the issues raised during the consultation and while it may not be possible to satisfy everyone, we believe we have struck a balance between all of those interests. "Under the revised plan the tunnel has been lengthened from about 510 metres to 650 metres, shifting the tunnel portal closer to Grenfell Street and reducing the visual impact. "Importantly though the primary objectives of the project – to improve the reliability and travel time for O-Bahn passengers and to reduce congestion on the Inner Ring Route – have not changed."